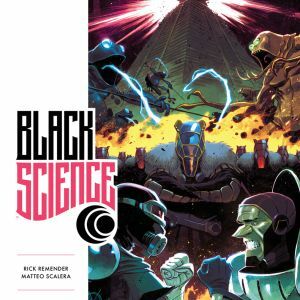 A BLACK SCIENCE PREMIERE VOL 1 REMASTERED EDITION by Rick Remender and Matteo Scalera will kick off the first of the forthcoming Giant Generator deluxe hardcovers to hit stores this May, followed that same month by both LOW BOOK ONE by Rick Remender and Greg Tocchini and TOKYO GHOST by Rick Remender and Sean Gordon Murphy. 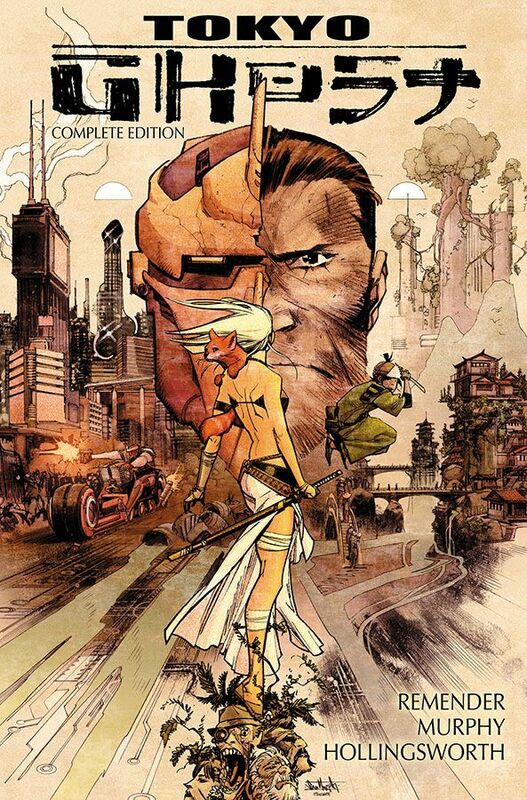 PORTLAND, OR, 3/16/2018 — A BLACK SCIENCE PREMIERE VOL 1 REMASTERED EDITION by Rick Remender and Matteo Scalera will kick off the first of the forthcoming Giant Generator deluxe hardcovers to hit stores this May, followed that same month by both LOW BOOK ONE by Rick Remender and Greg Tocchini and TOKYO GHOST by Rick Remender and Sean Gordon Murphy. 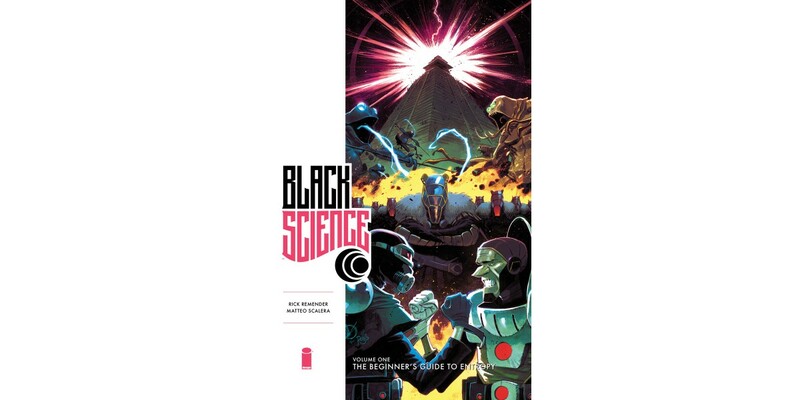 Back by popular demand, the remastered edition of BLACK SCIENCE collects the first three story arcs of the seminal pulp sci-fi smash hit by Remender and Scalera and kicks it into overdrive. Crammed with even more sketches, concept art, and never-before-seen material, this 8”x12” hardcover is the essential Dimensionaut’s companion to the Eververse. 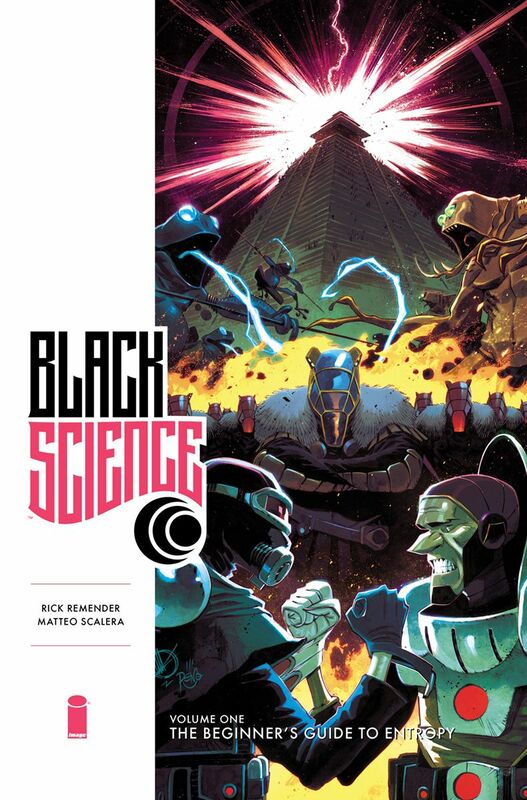 BLACK SCIENCE PREMIERE VOL 1 REMASTERED EDITION (Diamond Code JAN180711, ISBN: 978-1-5343-0740-7) collects BLACK SCIENCE #1-16 and will be available in comic shops on Wednesday, May 16th. It will hit bookstores on Tuesday, May 22nd and can be pre-ordered on Amazon, Barnes & Noble, Books-a-Million, IndieBound, and Indigo. 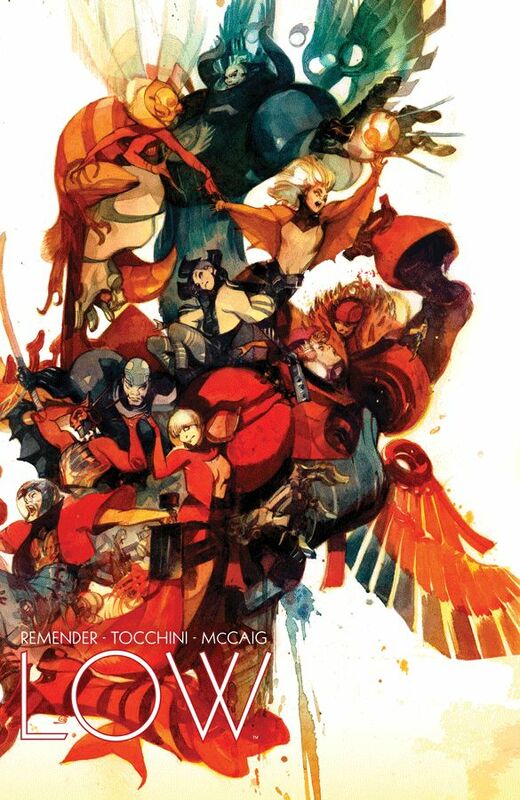 Fans will dive into an aquatic fantasy like never-before-seen in the LOW BOOK ONE hardcover, packed to the gills with concept art, design sketches, original script, and more hidden treasures, as writer Remender and Tocchini bring readers a tale of mankind’s final hour in the cold, deathly dark of the sea. LOW BOOK ONE hardcover (Diamond Code MAY170634, ISBN 978-1-5343-0243-3) collects LOW #1-15 and will be available in comic shops on Wednesday, May 23rd. It will hit bookstores on Tuesday, May 29th and can be pre-ordered on Amazon, Barnes & Noble, Books-a-Million, IndieBound, and Indigo. 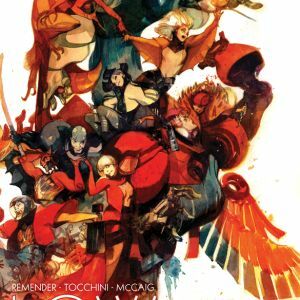 TOKYO GHOST DELUXE hardcover presents the complete run of the smash hit series TOKYO GHOST by Remender and Murphy in an oversized hardcover, packed with extra content, variants, designs, sketches, and bonus materials. The Isles of Los Angeles 2089: Humanity is addicted to technology. Getting a virtual buzz is the only thing left to live for, and gangsters run it all. And who do these gangsters turn to when they need their rule enforced? Constables Led Dent and Debbie Decay are about to be given a job that will force them out of the familiar squalor of LA and into the last tech-less country on Earth: The Garden Nation of Tokyo. 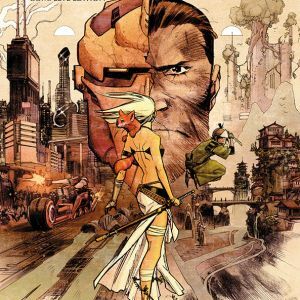 TOKYO GHOST DELUXE hardcover (Diamond Code APR170747, ISBN 978-1-5343-0046-0) collects TOKYO GHOST #1-10 and will be in comic shops on Wednesday, May 23rd. It will hit bookstores on Tuesday, May 29th and can be pre-ordered on Amazon, Barnes & Noble, Books-a-Million, IndieBound, and Indigo.